209 pages | 150 Color Illus. | 16 B/W Illus. SOLNETs are expected to reduce the efforts to implement lightwaves into electronic systems and allow us to create new architectures, thus reducing costs and energy dissipation and improving overall system performance. SOLNETs are also expected to be applied to a wide range of fields where lightwaves are utilized, for example, solar energy conversion systems and biomedical technologies, especially photo-assisted cancer therapies. Readers will systematically learn concepts and features of SOLNETs, SOLNET performance predicted by computer simulations, experimental demonstrations for the proof of concepts, and expected applications. They will also be prepared for future challenges of the applications. This book is intended to be read by scientists, engineers, and graduate students who study advanced optoelectronic systems such as optical interconnects within computers and optical networking systems, and those who produce new ideas or strategies on lightwave-related subjects. 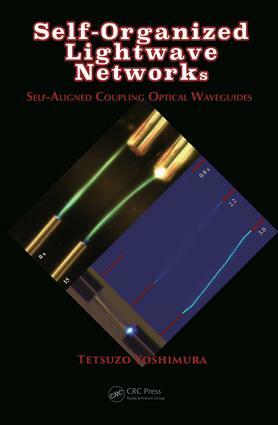 "This book encapsulates how self-focusing photo-sensitive media can be utilized to enable the automatic formation of self-aligned coupling optical waveguides. Such self-organized lightwave networks (SOLNETs) are offered as a low-cost, low-energy means to introduce lightguides into electronic systems." --K. Alan Shore, Bangor University, U.K.